For better or worse, online mobile shooters are gaining in popularity with titles like Fortnite and PUBG attracting millions of players. Now, one of the pioneers of mobile shooters is looking to get a piece of the action. 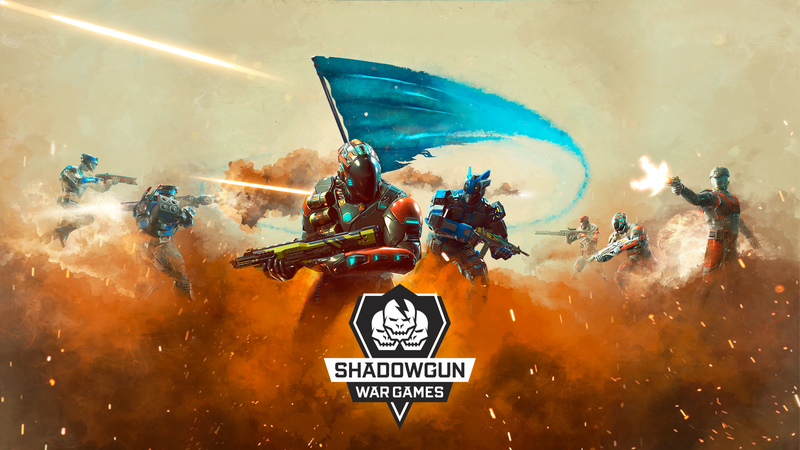 Madfinger Games has announced Shadowgun War Games. It's a competitive online shooter but not a battle royale title. Shadowgun War Games is a quick 5v5 game with "capture the flag" mechanics. You have to leverage the unique skills of each hero on your team to beat back the opposing side and snag their flag. The trailer doesn't provide much detail on the gameplay, but it sounds pretty straightforward. Madfinger is clearly hoping this game becomes popular in esports. Madfinger says the title will run at 60 fps on most phones, but certain devices like the Asus ROG phone will be able to hit 90 fps on their higher refresh screens. Madfinger doesn't mention a launch date other than sometime in 2019, but you can sign up for the mailing list to get more info as it becomes available. The Shadowgun franchise takes on esports with War Games, their ultra competitive 5v5 Capture the Flag mode, running at an incredible 90 FPS on selected mobile devices. August 20, 2018 - Brno, Czech Republic - The arena is filled to the roof. The fans are going wild. From the depths of the stadium two teams of five enter the field. Legendary Shadowgun heroes are getting ready for the fight, and the whole galaxy is watching. Welcome to Shadowgun War Games, the new mobile esports title from indie studio MADFINGER Games. In War Games the player jumps straight into battle as a hero from the Shadowgun Legends Universe. Each hero has a unique set of weapons and skills, and team cooperation is essential for success. The first person shooter sets teams of five against each other as they try to capture their opponents’ flag. The game features lag-free 60 FPS, and runs up to an insane 90 FPS on supported devices such as the new ASUS ROG phone. This graphical power combined with the smoothest and most intuitive controls on the market gives pro gamers everything they need. On Saturday 25th of August at gamescom in Cologne, Germany, fans can experience the game for the first time. MADFINGER Games will be hosting their inaugural Shadowgun War Games tournament on the ESL stage. The competition will showcase the game’s PC-quality spectator mode, featuring incredibly sharp graphics on the big screen. Visitors can also get their hands on the game at booth B-057 in Hall 9.1.